Secret Cutter themselves are best described as genre-bending; they fuse the best bits of sludge, with the rawest of grind and countless other audio pick’n’mix treats. For a three-piece, they make an unholy racket. As the idea for this showcase developed, we felt as though the stars had aligned when we realised that Secret Cutter would be heading over to this side of the pond right around Roadburn time. How could we resist? We snapped ‘em up, stuck ‘em on the bill and here we are. 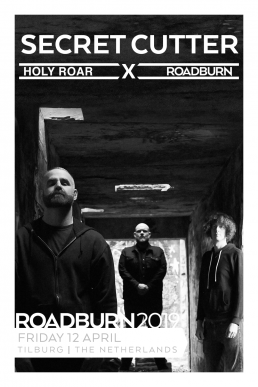 Do not miss Secret Cutter obliterating Roadburn.